Can The Crow remake ever take flight in Hollywood? That’s the question that has plagued said reimagining for years, as Relativity’s horror/fantasy pic ricocheted from one director to another in what quickly became a truly torrid saga of false hope and non-starts. It was during this time that Jack Huston, Luke Evans, and Guardians of the Galaxy Vol. 2 star Bradley Cooper all came attached to the part of Eric Draven – a part that was originally brought to life by Brandon Lee all those years ago – at various stages, only to drop out before The Crow remake could garner a sense of momentum. And that’s before you even factor in Relativity’s financial woes, which resulted in the project uprooting for a new home at Davis Films, Highland Film Group, and Electric Shadow. Between them, those three parties have pledged their combined support to the re-adaptation, and though he’s no longer attached to direct, Rings helmer F. Javier Gutiérrez has turned in a status report on the dogged remake, claiming that it’ll take the form of an R-rated, $40 million feature. Per Forbes, Gutiérrez, who remains involved in a producing capacity, also hinted that Jason Momoa (Justice League) and The Nun‘s Corin Hardy are still on board to engineer a feature film from the pages of James O’Barr’s cult graphic novel. 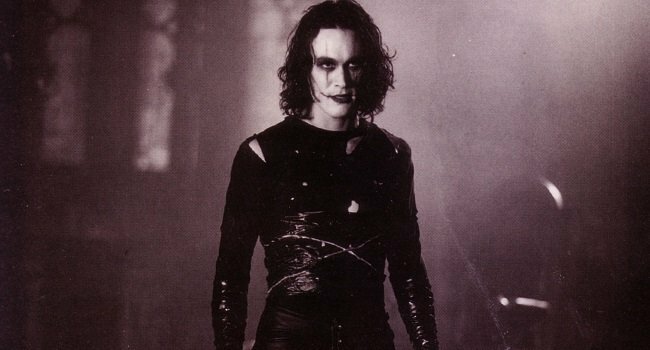 The Crow remake continues to gestate in pre-production, but with a tentative title (The Crow Reborn) in place and Hardy and Momoa purportedly still involved, perhaps now is the right time to resurrect the cult classic?